Established in August 1973 by The Des Moines Register, RAGBRAI has since become the longest, largest and oldest recreational bicycle touring event in the world. It’s like “Woodstock” for cyclists, with over 18,000 riders registered to participate throughout the week of riding and events for RAGBRAI 2017. The week prior to the festivities, I was fortunate to meet Scott Schoppert from Renner, South Dakota, one of the athletes who was participating in his fifth RAGBRAI. We shared a mutual interest: great health through all-natural, whole food. We have since then discovered we share another mutual interest—The AIM Companies™! Scott plans to become an AIM Wholesale Member as a result of our RAGBRAI experience, purchasing a Starter Pack and some Peak Endurance in his first order. But wait . . . let’s back up the bike! The week after I met Scott, I was able to join his Team Cow for three days of RAGBRAI. I pitched a tent with the team and got to share with them about The AIM Companies. I provided Peak Endurance to enhance their RAGBRAI riding experience. They loved it! I provided a pre-exercise concentration in the mornings (even filled some of their “water bottles” before they set out for their daily ride of 45–100 miles) and met them in the next town with a post-workout concentration to help them replenish and re-hydrate. While I waited for their arrival, I set up a display table on neighborhood street corners and offered free samples to hundreds of riders as they passed by. They were grateful . . . and energized. And my puppy Jazz got to tag along as well. We had a fantastic time and made many new friends. We’ll never forget our first RAGBRAI experience and the hospitality shown by Scott and his team. Hopefully they will never forget us and the energizing power of Peak Endurance. Go Team Cow! The AIM Companies is a network marketing company that has been in business since 1982. 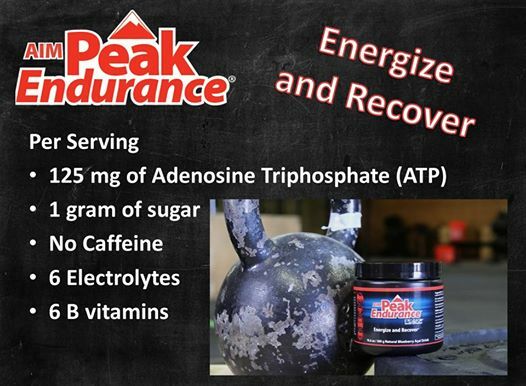 They offer whole-food powder concentrates and nutritional supplements including Peak Endurance with Peak ATP®. That’s where Peak Endurance differs. Peak Endurance was developed with performance in mind. Instead of containing a ton of sugar. It has only one gram per serving, enough necessary to deliver its full compliment of electrolytes, B-vitamins, oral ATP and vitamin C. But we’ve discussed why Peak Endurance is better than all the other “sports” drinks on the market. Let’s take the time to get into specifics on how Peak Endurance helps athletes and heavy exercisers recover. An electrolyte is a substance that helps electricity move through the body, and they are found in every cell: Sodium, potassium, calcium, magnesium, phosphate and chloride. When you pump iron, go for a run or do any sort of strenuous activity, you will sweat. Sweating leads to an imbalance of electrolytes which can snowball into cramps, nausea and fatigue. Severe, long-term electrolyte imbalance can lead to kidney failure, irregular heart beat and seizures. Adenosine triphosphate is the cellular currency of energy. In order to exercise, your body needs to produce ATP. If it cannot, you are done exercising. Cells can store excess ATP, so replenishing your ATP levels after exercise will keep the proverbial “barn” stocked. Also, it plays a huge role in anabolic signaling for muscle recovery and repair. 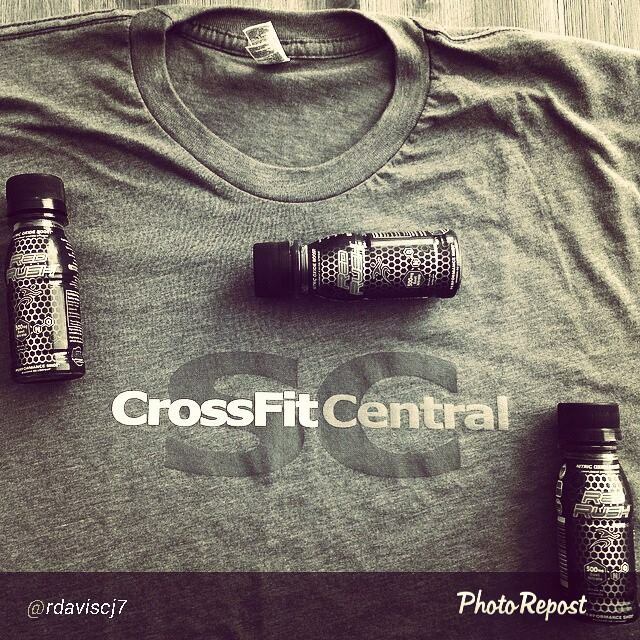 Vitamin C is essential to muscle growth. It is thought to keep your cortisol levels in check. Although the body needs cortisol, too much can increase appetite and interfere with amino acids and hormones essential for building muscle. Additionally, a lack of vitamin C reduces the amount of collagen the body makes, and you need collagen because it helps to repair muscles and maintain lean muscle mass. All B vitamins help the body by breaking down fat and carbs for energy. The also assist the body in metabolizing fats and protein, and protein, I hear, is great for building muscle.